If you’ve read my previous posts you’ll know that one of my New Year’s resolutions is to write more reviews. I really should try and write a review for each game I’ve played, or at least round ups like this one (just a bit more often than every half a year though). The Mass Effect 3 multiplayer is the number one reason why there aren’t more games on this list. I already put this game on my 2012 January – June list, but I had to mention it here again. The multiplayer is a lot of fun, especially when you’re playing with a group of friends. Since they’ve launched Bioware have put a lot of time into making the game even more addictive. Back in October they introduced the new Challenge Awards which is pretty much a specialized in-game achievements system, with a ton of challenges tied to weapons, power and character usage. It made me actually want to play with different characters each time and try out different ways to combine weapons and powers. Plus in the 8 weeks leading up to Christmas they released a new character each week. And the only way to unlock new characters is to play more, earn credits and buy packs (which may or may not contain a character). Anyhow it’s turned out to be waaaaay more addictive than I initially expected it to be. Mass Effect is currently £17 on Amazon.co.uk for both Xbox 360 and PS3. I played Uncharted: Drake’s Fortune earlier last year and wasn’t super impressed with it, mainly cause I was playing it 5 years after it came out. The story was fun though, so I was curious to see how its sequel would be. Uncharted 2 again has a fun story and it enjoyable to play, but… I can’t put my finger on just quite why, but there’s nothing in either of those games that makes me go “awesome awesome awesome best games ever”. Is it cause I’m just playing them some years after they came out or are these games just not for me? 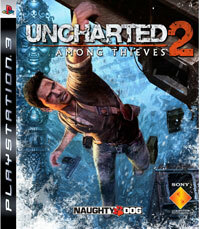 Uncharted 2 is currently £16.98 on Amazon.co.uk. This was the first game I played back in 2009 when I finally got myself a PS3. I actually didn’t like it all back then, mainly cause I sucked at the battles and kept on dying and dying. Fast forward to 3 years later when I tried it again cause the sequel was coming out, and turns out it’s a whole lot of fun. I really enjoyed the balance of puzzles, battles and item hunting, and love the design of the worlds and the characters. 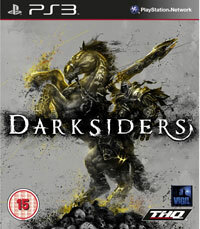 Darksiders is currently £13.99 (PS3) and £14.99 (Xbox 360) on Amazon.co.uk. I somehow had this idea that Bioshock was massively creepy and scary, which was why I was a bit hesitant to play it. Sometimes though you want to get that creepy, scary experience though, so I finally sat down to play it last month. And got hooked instantly. Turns out it isn’t even that creepy. The levels right at the start of the game are slightly creepy with dark corridors and creatures popping out at you, but as you progress that starts to lessen (although come to think about it: does it really start to lessen or are you just less likely to be creeped out?). The game is set in the 1960s when your character crashes in the middle of the ocean and discovers Rapture, an almost-abandoned 1940s style underwater city. I loved the style of the game, and the story complements it completely. I definitely wish I had played it sooner. 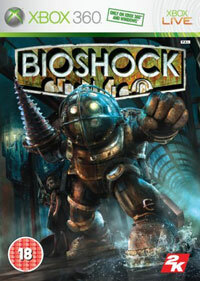 Bioshock is currently £17.90 (PS3) and £24.99 (Xbox 360) on Amazon.co.uk. So those together with these games (Game Reviews: Janaury – June 2012) are all the games I played last year. 2013 is already off on a brilliant start: I’ve already play bits of Bioshock 2, Assassin’s Creed 3 and Darksiders 2. So what games have you played recently, dear readers?